Dr. Mahalingam M who is now the president of Global Research Forum on Diaspora and Transnationalism has been invited by the Institut Kajian Etnik (KITA), (Institute of Ethnic Studies) of Universiti Kebangsaan Malaysia (National University of Malaysia) for the conference on ‘Public Policy Research Consultation on Contemporary Malaysian Indians’ from 22nd July to 25th July. He is presenting a paper titled ‘Political Economy of Contemporary Malaysian Indians: Demands for Multi-ethnic economic Model?’ His paper argues how neo- liberal economic thrust coupled with ethnicity based economic model have affected the Malaysian economy in general and the Malaysian Indian community in particular since independence. 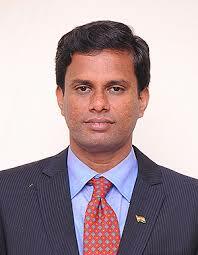 Dr. Mahalingam has done his doctoral thesis on the issues of Indians in Malaysia.